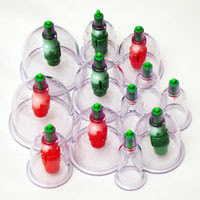 There are no Sunnah days for cupping (hijama) in this month of Rabea Al-Awwal as the 17th, 19th and 21st of Rabea Al-Awwal do not correspond with a Monday, Tuesday or Thursday. Jaabir ibn Abdullah (may Allaah be pleased with him) reported Umm Salama (may Allah be pleased with her) asked permission from the Messenger (Sallallaahu Álayhi Wasallam) to be treated with cupping (hijama). So the Messenger (Sallallaahu Álayhi Wasallam) ordered Abu Teeba (may Allaah be pleased with him) to cup her. Jaabir ibn Abdullah (may Allaah be pleased with him) said, ” I think he (Sallallaahu Álayhi Wasallam) said that Abu Teeba (may Allaah be pleased with him) is her brother through breastfeeding or a young boy who didn’t reach puberty”. [Saheeh Muslim (5708), abu Dawud (4102), Saheeh ibn Maajah (3480)]. The Messenger (Sallallaahu Álayhi Wasallam) said, “Whoever revives a Sunnah from my Sunnah and the people practise it, will have the same reward of those who practise it without their reward diminishing…” [Sunan ibn Maajah (209)]. Copyright © 2006 Health Means Wealth. All rights reserved.